The symbiotic relationship between dogs and humans dates back thousands of years. Yet how many people know that dogs are hard at work to ensure our safety every time we get onto an aeroplane? We chatted to Melissa Hofmann, Senior Wildlife Officer at O.R. 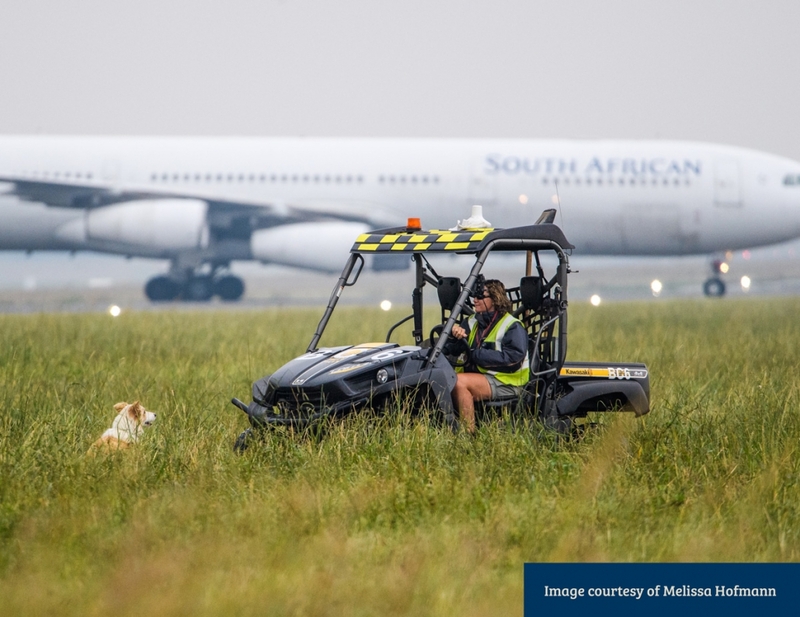 Tambo International Airport about the canine heroes who patrol the airfields to prevent birds from colliding with aeroplanes. We all know that feeling. You make your way through the aisle and squeeze into your seat. And as the engines start gathering momentum, and the plane picks up speed on the runway, you think, just for a moment, what if something goes wrong with the take-off? What if something hits the plane or gets sucked into the engine? Well, if you’ve been observant, you might have noticed an ecstatic dog or two racing in the tall grass of the airfield, a guineafowl or hadida flapping hastily a few feet in front of them. Yes, these dogs have every dog’s dream job: chasing birds for a living. And however much fun it is for these lucky dogs, it’s also a pretty serious responsibility. With around 20 000 planes taking off or landing every month, the risk of collision with birds is a real threat and can result in accidents and millions of rands of damage to an aeroplane’s engines, which of course affects passengers’ pockets. Melissa Hofmann has been involved with the Bird Strike Avoidance Programme at O.R. Tambo for many years and clearly loves it. She’s also quick to note that the programme is also about being sensitive to the birdlife (and the lives of other animals like snakes) around airports. 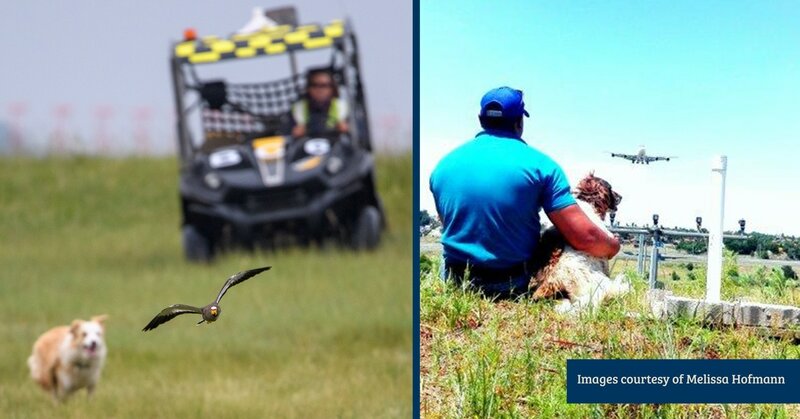 Apart from handling the working dogs, the 6 employees in the programme also monitor wildlife activity, catch and release stray animals and ensure that injured birds are taken to the vet to recover. The dogs used are either Border Collies or Springer Spaniels and are highly trained. out by the dogs,” says Hoffman. Apart from being highly effective, using dogs to prevent bird collisions is also environmentally friendly and allows aircraft and birds to share the sky freely. So next time, you sit back and enjoy your flight, take a moment to thank our best friends, happily and hard at work somewhere on the outskirts of the airfield.